“St. George ribbon” is recognized as one of the most ambitious and patriotic initiatives in the whole Russia. 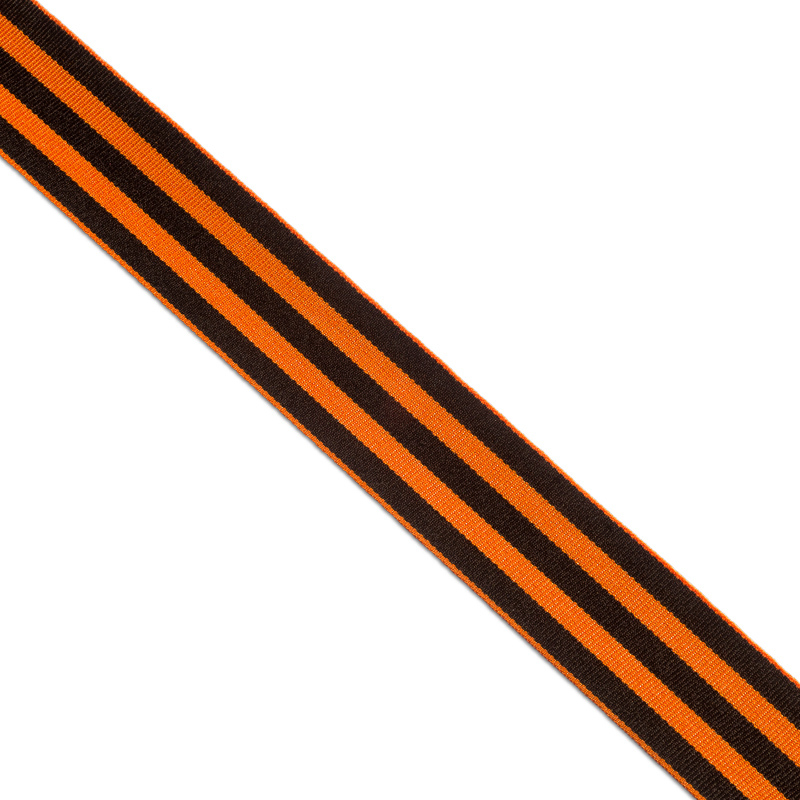 The distribution of the main symbol of this memorable event, the St. George Ribbon, began in 2005. 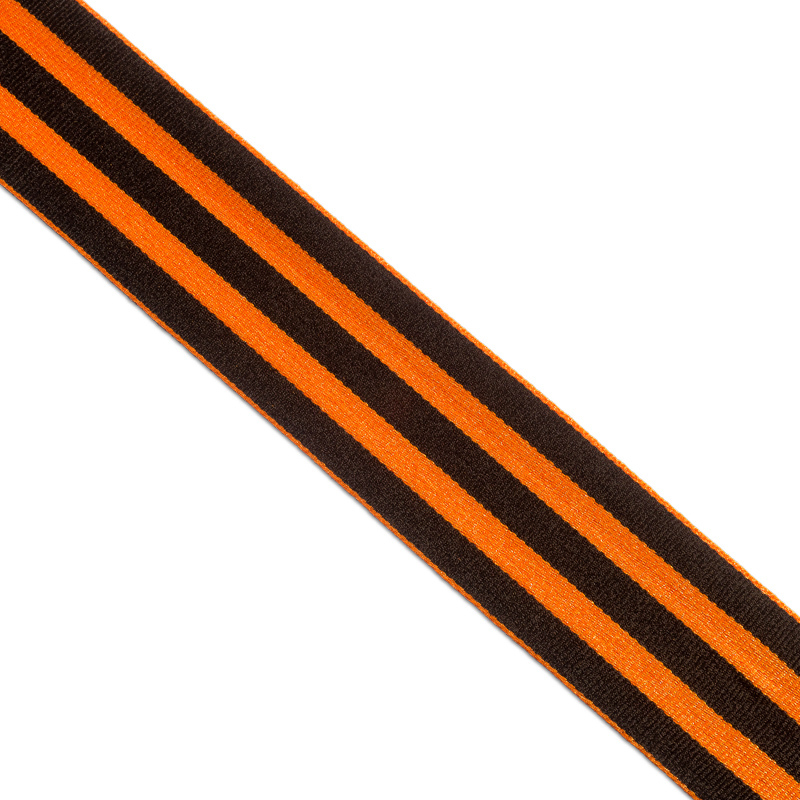 In honor of the Victory Day in the Great Patriotic War – May 9, residents of Russia and other countries tie these ribbons on clothes. Since 2009, OOO “PTGO SEVER” has been fulfilling orders for the manufacture of St. George ribbons in large volumes. Our company actively cooperates with many higher and secondary educational institutions of Russia. It is important for us to raise the patriotic spirit of the youth, students and schoolchildren. In addition, we supply a symbolic ribbon to pre-school institutions, so that the heroic deeds of our ancestors lived in the memory of even the youngest citizens of Russia. For the convenience of the customers, the St. George ribbon is cut into equal lengths, depending on the customer’s preferences with the help of special equipment – a thermal knife. This makes it possible to prevent the strands from loosening during use. They are made of polyester yarn by pneumatic joining method. The width of each piece is 24 mm or 35 mm. The standard length of the ribbon when cutting 500 mm. It is possible to cut the ribbon to the required dimensions. Heat treatment of the edges provides a monolithic fusion of filaments. Manufactured in accordance with the state standard, which confirms resistance to humidity and ultraviolet radiation when outside. Dynamic prices allow you to buy St. George ribbon in cutting at the most attractive value, which decreases depending on the size of the lot. 1.1 Stability of ribbon coloring to weather conditions corresponds to GOST 9733.2-91 (ISO 105-B03:1994). 1.2. Stability of ribbon coloring to light exposure corresponds to GOST 9733.2-91 (ISO 105-B03:1994) not less than 4 points on a 5-point scale. 1.3. The ribbon edges are thermally treated to prevent material from dissolving and fringe formation at the ends of the product.